Sometimes little gift books like the following can make perfect additions to a larger gift. 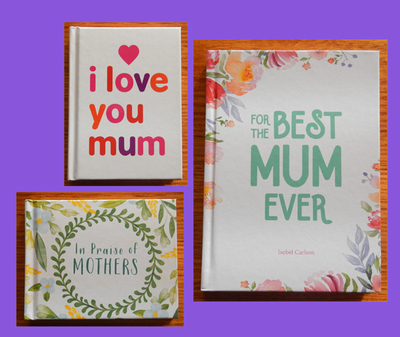 Why not show your appreciation for Mum this Mother’s Day by giving her one of these books, alongside a box of chocolates or a sweet-scented candle? This pocket-sized gift book features a collection of quotes from authors, politicians, actors, singers and other prominent figures about their mothers, or their own experiences with motherhood. There are at least a hundred quotes, affirmations and proverbs within this book (which follows a pink, black and white colour scheme). But with hearts liberally scattered across the pages, this is probably a book best suited to ‘girly’ mothers, who don’t mind an explosion of hot pink while reading others’ heartfelt sentiments. 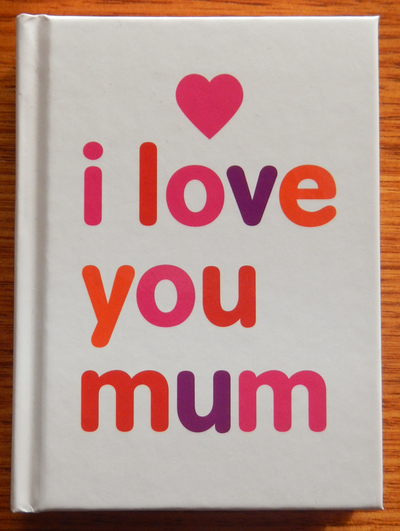 In a similar vein to I Love You Mum, this book features quotes about the joy, humour, pain and wonder of motherhood. 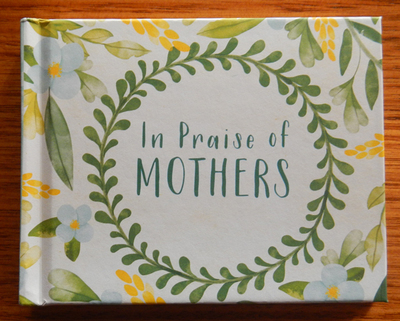 Some of the quotes in this book can also be found in the one above (as expected) but this one seems to cater more to an older generation of mothers, with calming green leaf/floral designs accenting the pages. In Praise Of Mothers also appears to have a more literary-based collection of quotes, rather than ones taken from pop culture (although Beyonce and, believe it or not, Sid Vicious, do have quotes attributed to them throughout the pages). At first glance, this appears to be a quote book just like the others, only slightly larger in size. Instead, this book is a collection of mother-themed poetry, delicious recipes and specialised life hacks that mums can use to make their days easier. In addition, there are also word puzzles, a few quotes from prominent people, and affirmations about mums scattered among the pages, which follow a whimsical and nostalgic floral design theme. 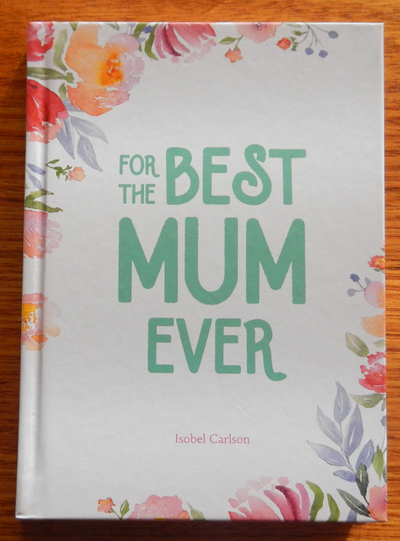 With an attached ribbon place-marker to easily bookmark pages of interest, this is a pretty little gift book that most mothers are sure to love.